Home/Blog/ Marketing/When Is It A Good Idea To Use A Cartoon Animation Explainer Video? When Is It A Good Idea To Use A Cartoon Animation Explainer Video? You’ve probably heard about the amazing engaging power video content has. But did you know that Cartoon Animation Explainer Video are a fantastic resource to enhance the bond with your audience even more? (and, what’s better, they help you achieve your marketing goals and maximize your ROI). Join us in this reading and learn when you should pick out this cool -and also effective explainer video style. Also, get ready to access some killer tips to make a stunning cartoon video that rocks the web. Let’s get started. In video marketing, you have lots of possibilities to get to your audience’s attention in a persuasive and memorable way. Of course, depending on your marketing goals and the stage of the buyer’s journey your prospect is in, you could choose to develop a testimonial video, a how-to video, an about us videos, an explainer video, or any other type. Animated marketing videos, in particular, are a great opportunity to pass out your business idea in a simple, quick and catchy way. And cartoon animation videos stand out as one of the most popular types among the different explainer video styles. They are created to bring out emotion and personality to your brand while quickly grabbing your audience’s attention. In this explainer video style, the storytelling technique plays a key role: the main character (which represents your buyer persona) solves their problem with the help of your product. It’s the characters that make the story “unfold”! The question is: why is cartoon animation one of the favorite explainer videos styles among marketers? The secret is in their essence: the animated characters. Animated characters bring back those great memories from our childhood. All positive memories: fun, joy, freedom, amusement,… what could be better than delivering your marketing message by using such lovable resources? You will then be making your audience feel really comfortable while you show them how your product can make their lives easier. Animated characters can be fully customized in order to optimize your marketing results. By crafting the characters of your video having your target audience in mind (age, gender, style, how they behave, how they look, etc.) you can make them feel emotionally closer to the story you’re telling. They will feel represented by those characters and assume that the video was specially made for them. 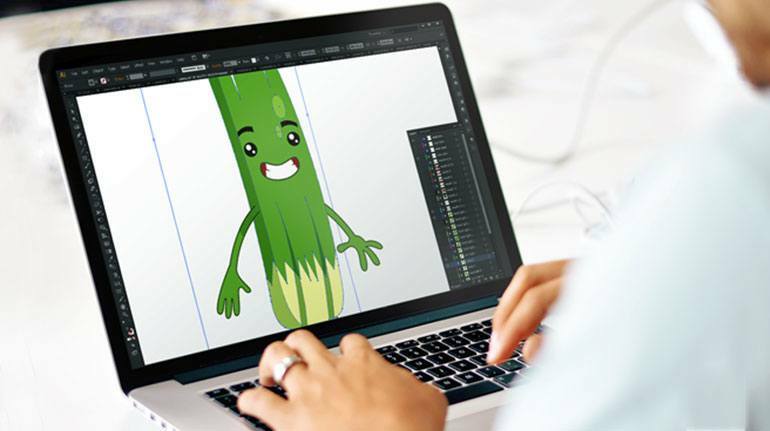 Animated characters can be used both for B2C and B2B companies. For B2C companies, they are great as they give the possibility to enhance the emotional connection with the audience (this is, the chance to connect with real people with real emotions). In the case of B2B companies, animated characters bring that special human/personal approach that is harder to find in this type of business. It’s also possible to trigger emotions in B2B companies! 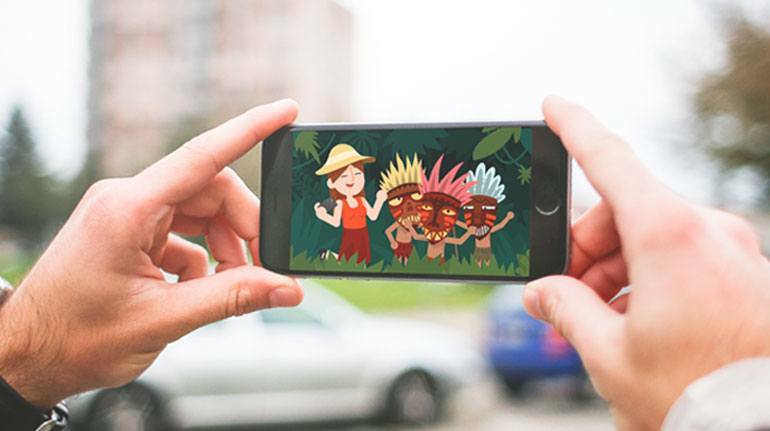 Another great ability of animated characters is that they help you promote your brand in quite a “natural” way: people tend to become fans of animated characters, just like (we bet!) you did with Spiderman or Scooby Doo when you were a kid. And the audience gets so emotionally close to those characters that the chances that they will spontaneously share the video increase greatly. Character animation videos can be merged with other types of explainer videos styles to get greater results. You can mix cartoon animation with motion graphics, or mix it with whiteboard animation (and get the most out of the two worlds). Why Do Explainer Videos Use Animated Characters? Well…at this point you might be asking yourself: “what’s so special about animated characters? why are they so effective and widely loved? 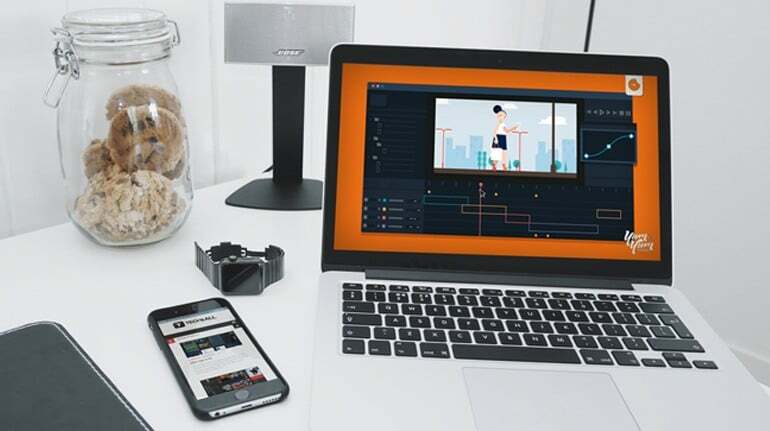 why do they maximize the engaging power of explainer videos?” And here we have some good arguments to share with you. Animated characters generate strong empathy from viewers, who end up feeling the happiness, anxiety or sorrow that the character on screen is experiencing (depending on the content of the video). Empathy is a must to get people involved in the story and encourage them to wait for more information (by generating curiosity). By using animated characters you will be generating some kind of empathy in your audience: the viewer will then be eager to know how the character on screen solves their problems. And this type of identification will be of great help to achieve your marketing goals. Trust us! Tip: don’t miss this blog post in which we explore in detail the relationship between emotions and video marketing. Again: the great thing about cartoon animation explainer videos is that you don’t have the limitations that you may find in a recorded video. The key is letting your imagination flow! When Should You Use a Cartoon Animation Explainer Video? So far, we have seen stunning character animations and have explored the amazing benefits of this style. But maybe you still have doubts on whether it is the right style for your next marketing video. want to make your video super short (under 90 seconds): cartoon animation allows you to deliver your message pretty fast. want to bring your brand a more personal / human approach. want to make people laugh. This style gives you the chance to add a good dose of humor without being so exposed as you would be if other “fun touches” failed in other types of marketing videos. So, if you have made up your mind and want to start working on a cartoon animation explainer video…what should you bear in mind to make it highly effective? These tips might help! 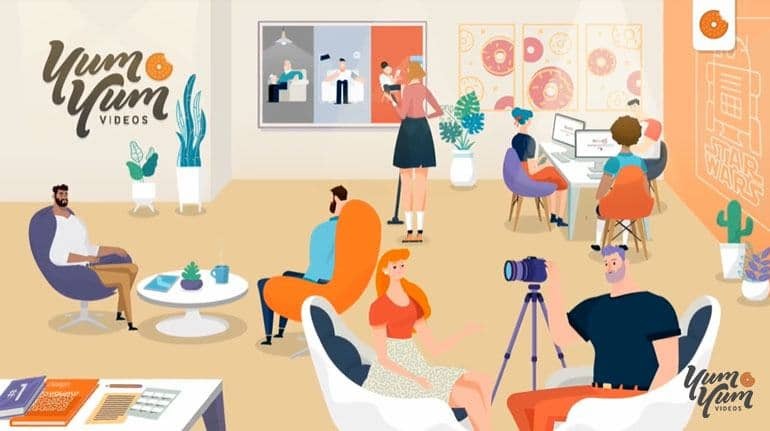 By developing a cartoon animation explainer video that is tailored to your audience you will generate a strong connection and empathy. This will help you boost engagement and build trust towards your brand. Go over these tips to learn how you can fully customize your marketing video! Make sure you hire a professional and talented team that gives the best quality to every single stage of the video production process. This is the only way you will be able to get the best results. We have compiled some key recommendations in our eBook called “How to choose the right explainer video company”. Talking about the production team…the Art Director will play a key role too, as he will be in charge of defining the funny scenes, the creative metaphors and every single element that makes the story stand out. The psychology of color has a huge impact in your marketing and branding strategies. And if you apply the colors of your brand palette to your video you will make it easier for your audience to identify (and also remember) who is behind that unique selling proposition. 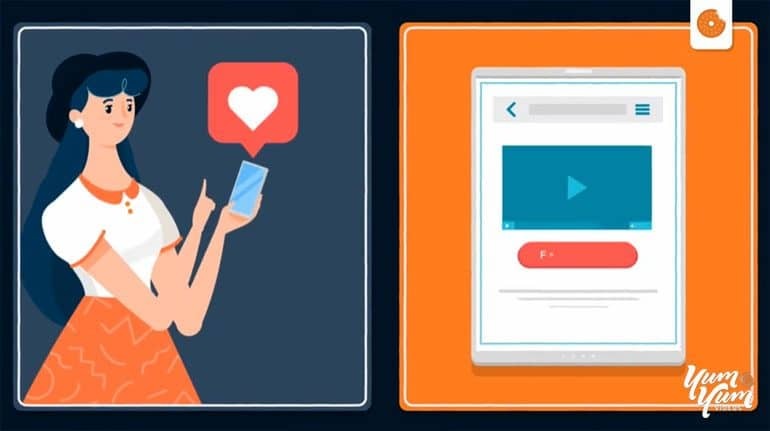 Just look how Gigtown applied the orange in their animated marketing video to meet their brand’s guidelines. Your cartoon video should be the right length: not too long, not too short. We always recommend that explainer videos should be between 60 and 90 seconds. That’s the ideal length to pass out your key messages while keeping your audience’s attention. Don’t miss these tips on the ideal length marketing videos should have! Make sure you choose a professional voice over talent that is also a native speaker of the language of your target audience. This will give your video a specific personality and will make it more professional and credible. 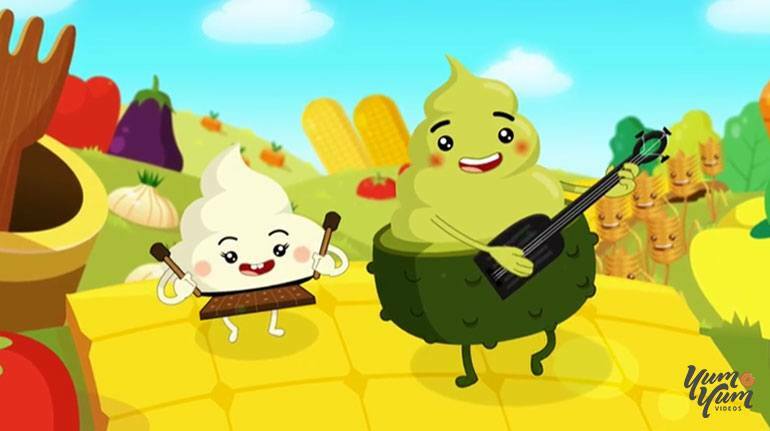 At Yum Yum, we have wide experience in developing cartoon animation explainer videos. And we work to get the best results: focus, an eye on the details and a talented team that works synergically to achieve the marketing results you’re looking for. Just as a reference, check out the best 10 character explainer videos we have developed so far. If you feel like doing something like this, drop us a line and we’ll be glad to help! Cartoon animation explainer videos stand out as one of the most popular animated marketing video styles out there. They offer amazing benefits no matter if you have a B2C or a B2B company. 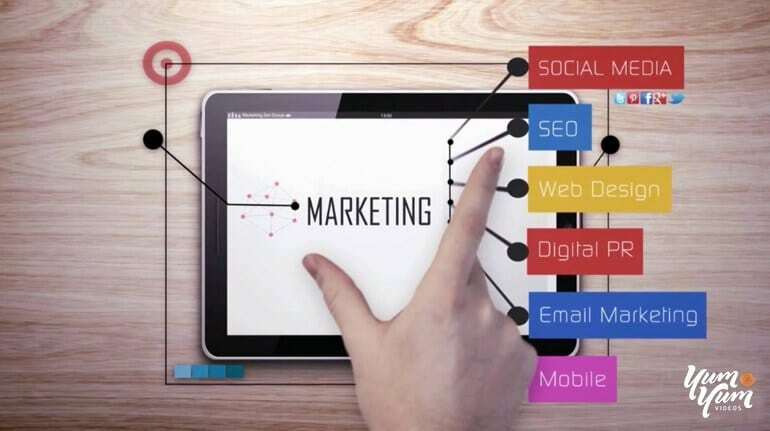 Additionally, they are a highly versatile and flexible style that can be merged with other techniques to optimize your marketing results. But hey…don’t forget to follow some basic guidelines to make your video highly engaging and memorable. We hope these tips have helped! Finally, we invite you to surf our Video Marketing Resources section in which you will find a bunch of eBooks, infographics, slides and data around the video marketing world. Enjoy it!